Purchase 50 or more Eye Bath Plastics and download your free support pack worth £100. Purchase 200 or more Eye Bath Plastics and you can have personalised covers absolutely free! 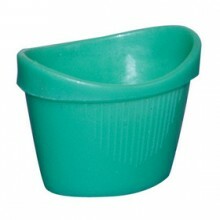 The plastic eye bath can be used with any sterile saline eyewash solution to irrigate the eye and remove foreign objects.